This page covers satellite parts manufacturers or vendors. It mentions list of satellite parts manufacturers across the globe which undertake manufacturing of satellite parts. 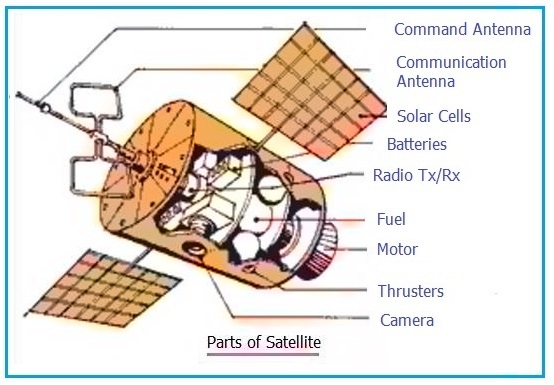 Following are the typical parts used in a satellite or spacecraft as shown in the figure-1. Following table-1 mentions manufacturers of satellite parts.